On June 16, 2011, the U.S. Supreme Court issued one of the best and most important decisions ever on the principle of federalism. In the case Bond v. United States (09-1227), the Court unanimously held that individuals, and not just the states, have standing to challenge federal laws as violations of state sovereignty under the Tenth Amendment. Justice Kennedy, often the “swing” judge on the Supreme Court, wrote the opinion. This decision hopefully shows that our high court is on the side of our Founders and values the most fundamental principle on which our nation was founded – individual liberty. Those who understand the intent behind the Constitution to protect individual liberty take to heart what Thomas Jefferson wrote – ““Every word of the Constitution decides a question between power and liberty.” And they know that most especially, the 28 words of the Tenth Amendment decide such a question. The facts of this case are as follows: This case arises from a bitter personal dispute which lead to criminal acts and then a criminal prosecution. Petitioner Carol Anne Bond lived outside Philadelphia, PA. After discovering that her close friend was pregnant and that the father was in fact her own husband (Bond’s husband), Carol Anne sought revenge. She subjected her (“ex-“) friend to a campaign of harassing telephone calls and letters, acts that resulted in a minor criminal conviction on a state charge. But that didn’t stop her. She persisted in more hostile acts, placing caustic substances on objects the woman was likely to touch, including her mailbox, car door handle, and front doorknob. The victim suffered a minor burn on her hand and finally contacted federal investigators, who identified Bond as the perpetrator. Bond was indicted in the US District Court for the Eastern District of Pennsylvania for, among other offenses, two counts of violating §229. Section 229 forbids knowing possession or use of any chemical that “can cause death, temporary incapacitation or permanent harm to humans or animals” where not intended for a “peaceful purpose.” §§229(a); 229F(1); (7); (8). In the District Court, Bond moved to dismiss the §229 charges, contending the statute was beyond Congress’ constitutional authority to enact. The District Court denied the motion. Bond entered a conditional plea of guilty, reserving the right to appeal the ruling on the validity of the statute. She was sentenced to six years in prison. In the Court of Appeals for the Third Circuit, Bond renewed her challenge to the statute, citing, among other authorities, the Tenth Amendment to the Constitution. The Court of Appeals asked for supplemental briefs on the question whether Bond had standing to raise the Tenth Amendment as a ground for invalidating a federal statute in the absence of a State’s participation in the proceedings. In its supplemental brief in the Court of Appeals, the Government took the position that Bond did not have standing, and the Court of Appeals agreed. However, when Bond sought certiorari with the Supreme Court, the government advised the Court that it had changed its position and that, in its view, Bond does in fact have standing to challenge the constitutionality of §229 on Tenth Amendment grounds. With respect to the Tenth Amendment, Bond asserted that the conduct with which she was charged is “local in nature” and “should be left to local authorities to prosecute.” She alleged that congressional regulation of that conduct “signals a massive and unjustifiable expansion of federal law enforcement into state-regulated domain.” [Case record in No. 2:07–cr–00528– JG–1 (ED Pa.), Doc. 27, pp. 6, 19]. 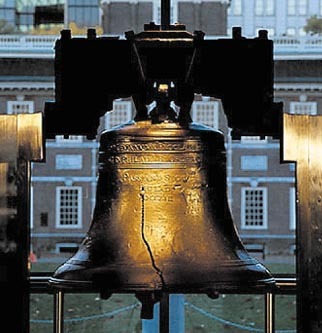 The public policy of the Commonwealth of Pennsylvania, enacted in its capacity as sovereign, has been displaced by that of the federal government (which she claims is acting more like a ‘national’ government than a ‘federal’ government). In short, the law to which Bond is subject and the punishment she must face, might not have come about if the matter were left for the Commonwealth of Pennsylvania to decide. But that is not its exclusive sphere of operation. Federalism is more than an exercise in setting the boundary between different institutions of government for their own integrity. “State sovereignty is not just an end in itself: ‘Rather, federalism secures to citizens the liberties that derive from the diffusion of sovereign power.’” New York, at pg. 181 (quoting Coleman v. Thompson, 501 U. S. 722, 759 (1991) (Blackmun, J., dissenting)). Some of these liberties are of a political character. The federal structure allows local policies “more sensitive to the diverse needs of a heterogeneous society,” permits “innovation and experimentation,” enables greater citizen “involvement in democratic processes,” and makes government “more responsive by putting the States in competition for a mobile citizenry.” Gregory v. Ashcroft, 501 U. S. 452, 458 (1991). The limitations that federalism entails are not therefore a matter of rights belonging only to the States. States are not the sole intended beneficiaries of federalism. [See New York, supra, at 181]. An individual has a direct interest in objecting to laws that upset the constitutional balance between the National Government and the States when the enforcement of those laws causes injury that is concrete, particular, and redressable. Fidelity to principles of federalism is not for the States alone to vindicate. The recognition of an injured person’s standing to object to a violation of a constitutional principle that allocates power within government is illustrated, in an analogous context, by cases in which individuals sustain discrete, justiciable injury from actions that transgress separation of-powers limitations. Separation-of-powers principles are intended, in part, to protect each branch of government from incursion by the others. Yet the dynamic between and among the branches is not the only object of the Constitution’s concern. The structural principles secured by the separation of powers protect the individual as well. In the precedents of this Court, the claims of individuals—not of Government departments—have been the principal source of judicial decisions concerning separation of powers and checks and balances. For example, the requirement that a bill enacted by Congress be presented to the President for signature before it can become law gives the President a check over Congress’ exercise of legislative power. See U. S. Const., Art. I, §7. Yet individuals, too, are protected by the operations of separation of powers and checks and balances; and they are not disabled from relying on those principles in otherwise justiciable cases and controversies. In INS v. Chadha, 462 U. S. 919 (1983), it was an individual who successfully challenged the so-called legislative veto—a procedure that Congress used in an attempt to invalidate an executive determination without presenting the measure to the President. The procedure diminished the role of the Executive, but the challenger sought to protect not the prerogatives of the Presidency as such but rather his own right to avoid deportation under an invalid order. Chadha’s challenge was sustained. A cardinal principle of separation of powers was vindicated at the insistence of an individual, indeed one who was not a citizen of the United States but who still was a person whose liberty was at risk. Chadha is not unique in this respect. Compare Clinton v. City of New York, 524 U. S. 417, 433–436 (1998) (injured parties have standing to challenge Presidential line-item veto) with Raines v. Byrd, 521 U. S. 811, 829–830 (1997) (Congress Members do not); see also, e.g., Free Enterprise Fund v. Public Company Accounting Oversight Bd., 561 U.S. ___ (2010); Plaut v. Spendthrift Farm, Inc., 514 U. S. 211 (1995); Bowsher v. Synar, 478 U. S. 714 (1986); Northern Pipeline Constr. Co. v. Marathon Pipe Line Co., 458 U.S. 50 (1982); Youngstown Sheet & Tube Co. v. Sawyer, 343 U. S. 579 (1952); and A. L. A. Schechter Poultry Corp. v. United States, 295 U. S. 495 (1935). If the constitutional structure of our Government that protects individual liberty is compromised, individuals who suffer otherwise justiciable injury may object. Just as it is appropriate for an individual, in a proper case, to invoke separation-of-powers or checks-and balances constraints, so too may a litigant, in a proper case, challenge a law as enacted in contravention of constitutional principles of federalism. That claim need not depend on the vicarious assertion of a State’s constitutional interests, even if a State’s constitutional interests are also implicated. [Bond, pp. 11-15]. Justice Ruth Bader Ginsberg, joined by Justice Kennedy, wrote a concurring opinion. She wrote: ” In this case, Bond argues that the statute under which she was charged, 18 U. S. C. §229, exceeds Congress’ enumerated powers and violates the Tenth Amendment. In short, a law “beyond the power of Congress,” for any reason, is “no law at all.” Nigro v. United States, 276 U. S. 332, 341 (1928). The validity of Bond’s conviction depends upon whether the Constitution permits Congress to enact statute §229. Her claim that it does not must be considered and decided on the merits.” [Bond, pp. 18-19]. Freedom is being fought for in courtrooms all over the country and in the Supreme Court, and the Bond decision indeed was a glorious day. We hope “individual freedom” and “limited government” continue to be on the mind and in the hearts of the members of the Supreme Court and especially as they hear challenges to the federal healthcare bill – the Patient Protection and Affordable Care Act, also known as “Obamacare.